First, a confession. I wear leggings in public more often than I’m willing to admit. These days, I’ve been going to dance or Pilates three times a week and can’t be bothered to change in and out of my tights for the 10 min commute. Ain’t.Nobody.Got.Time.For.That. However, I still feel oddly self-conscious about wearing leggings on the plane. If you’re like me, you’ll enjoy this round-up of five looks to wear that are just as comfy as leggings without being leggings. If you’re fancy, you wear silk pyjamas to bed. Now just extend those pyjamas to your travel outfit. You’ll be chic, effortless, and comfortable. The key to avoid looking like you’re actually wearing pyjamas is to pair them with cool items like Adidas sneakers and a leather jacket. Legging lovers, you can still get all the comfort of a legging with a wee bit of an upgrade. The ponte pants is a trouser…but let’s be real, it’s basically 90% elastic. The only reason you can get away with wearing it as pants is because of the tiny tailoring details, like faux pockets, pleats, and belt loops that make it an upgraded legging. Make it cooler with a loose blouse and chunky scarf to balance out the slim leg. If you want the comfort of elastic, why not go for a compression pantyhose and wear a dress. Jersey is the best for its comfort, ease, and wrinkle-resistant properties. Pick a stripy version for an instant outfit and slightly more playful than an all-black choice. If you’re bent on wearing leggings, why not top it with a long sweater or vest. 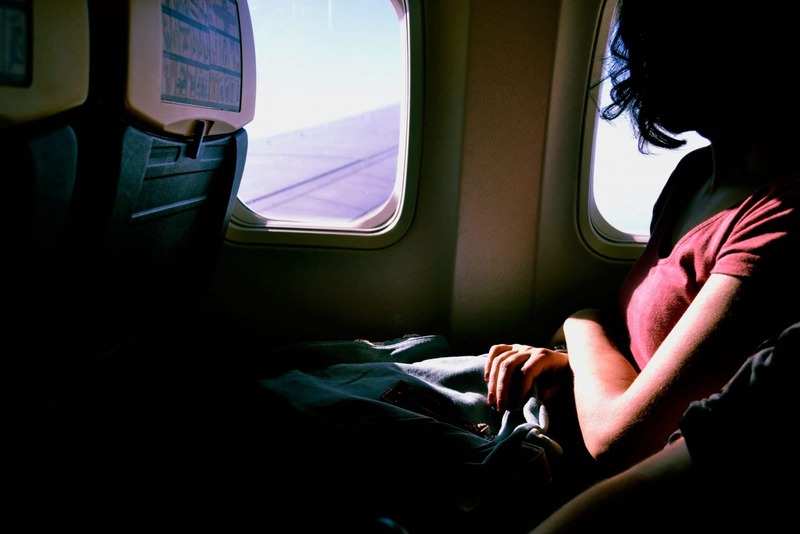 Pick between tailored options or some comfy ones that double as a blanket on red-eye flights. The jumpsuit is another option that feels like pyjamas but looks way classier. Not the most convenient for an airplane bathroom trip, but super comfy otherwise. Bonus points for dark colours or prints that hide spills really easily. I’m flying to Vancouver next week for Thanksgiving weekend, looking forward to trying one of these options for the flight! Thanks for commenting Marilyn! Let me know how it goes!